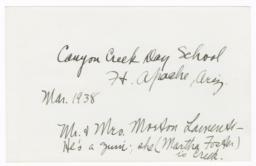 Canyon Creek Day School, Ft. Apache, Ariz., Mar. 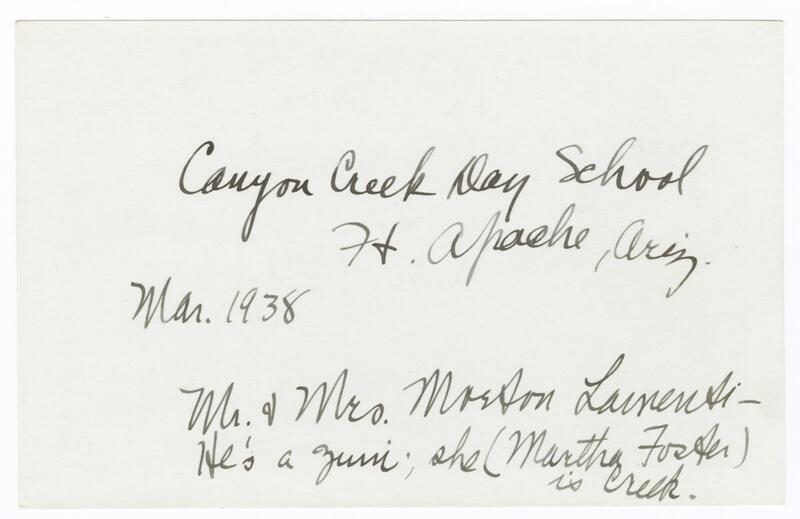 1938, Mr. & Mrs. Morton Laurenti - He's a Zuni, she (Martha Foster) is Creek. Students with Mr. and Mrs. Morton Laurenti at Canyon Creek Day School, MRL 10: G.E.E. 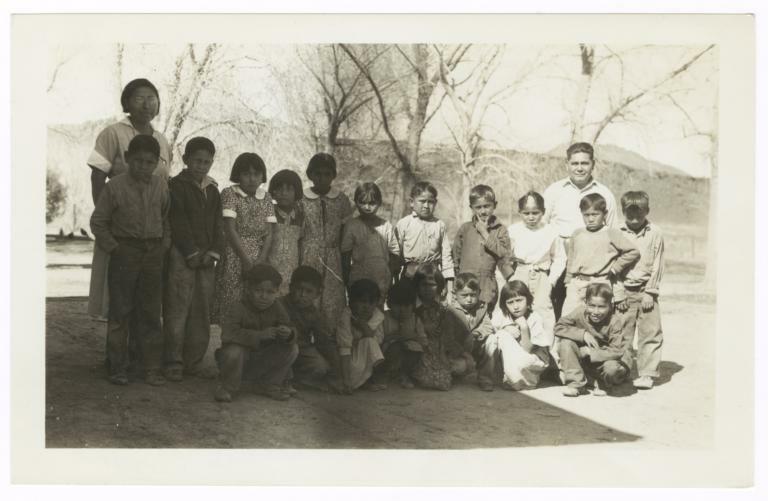 Lindquist Papers, 36, 85, The Burke Library Archives (Columbia University Libraries) at Union Theological Seminary, New York. 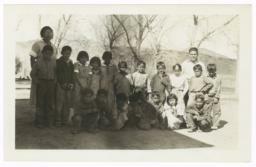 Can be viewed at http://lindquist.cul.columbia.edu:443/catalog/burke_lindq_036_0085. Web accessed 23 Apr 2019.